The most famous and recognizable hockey tournament in United States history was at the 1980 Olympics held in Lake Placid, NY. The Americans pulled off the “Miracle On Ice” by beating the Soviet Union. They eventually went on to win the Gold Medal for the first time in 20 years. 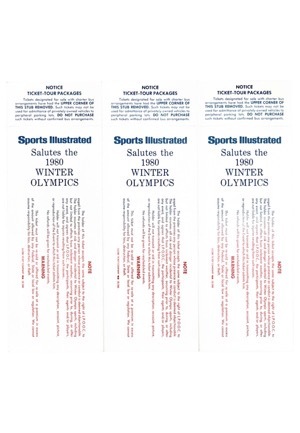 Offered are three full unused tickets from Team USA’s improbable 1980 Olympic run. The first ticket is from February 12, a 2-2 tie vs Sweden. 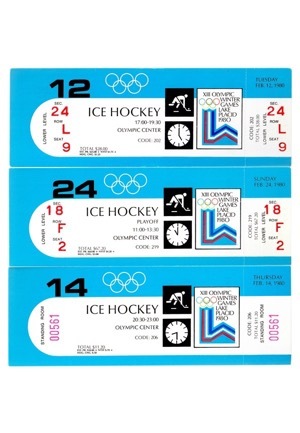 The second ticket is from February 14, a games the Americans won 7-3 over Czechoslovakia. 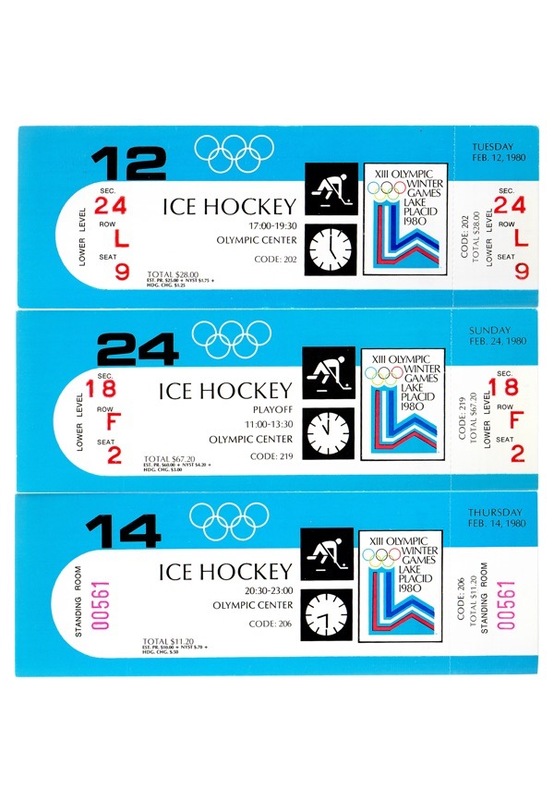 The third and final ticket is from the deciding Gold Medal game, held on February 24, with the Americans defeating Finland 4-2.